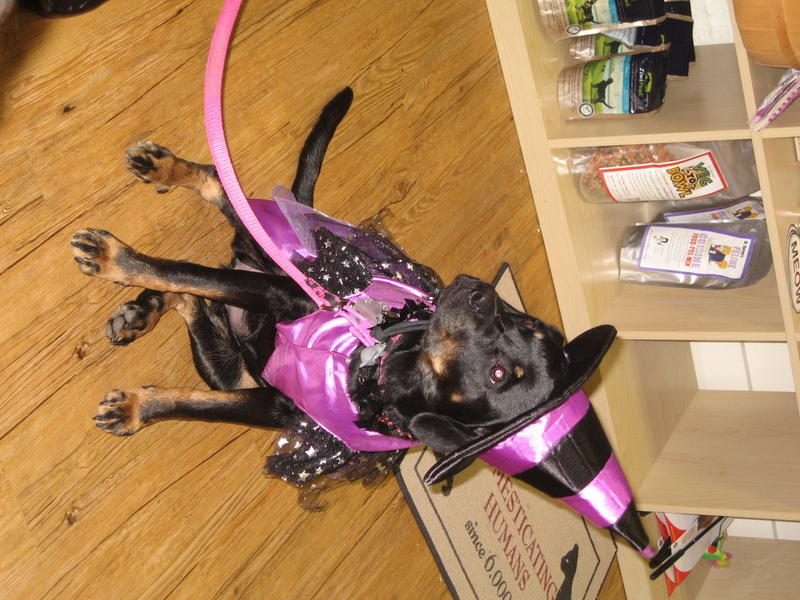 A bewitching pup from Dogma's Howl-o-ween celebration in 2010. You and your dog can have a full day of Halloween fun this Saturday, and help the homeless animals at Lucky Dog Animal Rescue at the same time, with dog-friendly events in D.C and Arlington. From 1:00 to 3:00 p.m. on Sept. 29 Lucky Dog and Wagtime are hosting an afternoon of fun, drinks, and a canine costume contest at Cantina Marina on the D.C. waterfront. Ten percent of all proceeds will go to Lucky Dog. Cantina Marina is at 600 Water St, SW Washington, DC 20024. Then, just a few miles away from Cantina Marina, Shirlington Village is hosting a variety of pet events. From 3:00 to 7:00 p.m., you can get your dog washed and dressed at the Muddy Mutt for just $20, with all the proceeds going to Lucky Dog. From 6:00 to 8:00 p.m., Dogma Bakery and Fur-Get-Me-Not are hosting trick-or-treating throughout the village’s shops. For a $10 donation (or a bag of food), you can bring your pup around to the participating restaurants and stores for a treat. Finally, finish the night at Dogma for a Howl-o-ween Party at 8:00 p.m. for dog costume contests, and treats for both humans and dogs. Dogma Bakery is located at 2772 S. Arlington Mill Dr., Arlington, VA 22206.